What is Rigid Insulation Board? Polystyrene foam -- often associated with insulation -- can be used to make sheets of Styrofoam and other rigid foam boards. Rigid insulation board is a form of hard insulation. This insulation is typically a synthetic such as polystyrene or a natural material like fiberglass or rock. When used in a building, these insulation types are common on the exterior walls and as part of the foundation. Since they pack a great deal of insulating power in a small space, it is common to use rigid insulation board in areas where there is little space for larger forms of insulation. Rigid insulation board also shares many features of structural insulation panels, although they are considered two separate insulation methods. 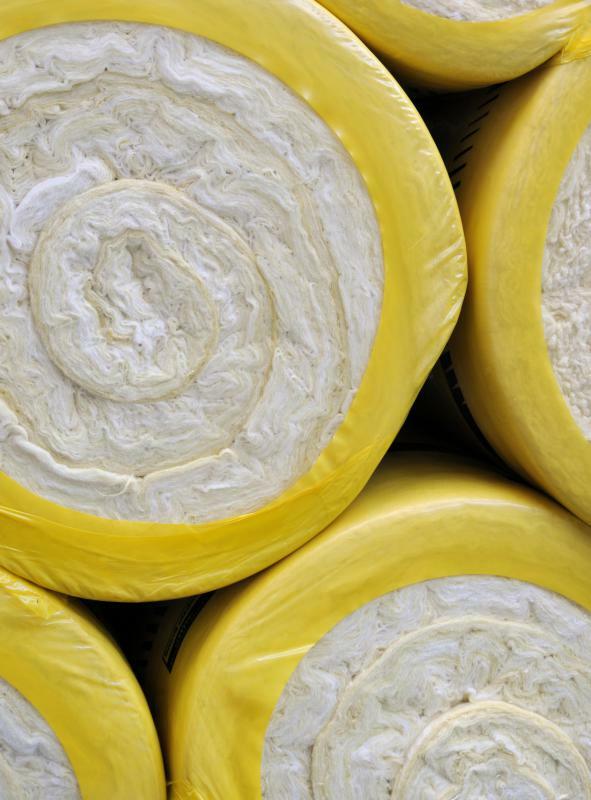 Insulation is the protective layer between the inside and outside of a building. It prevents temperature from equalizing between the building and environment, keeping buildings warm or cool when needed. Most insulation forms are soft; they conform to the space in which they are used. These kinds of insulation vary from fiberglass cushions to shaved cellulose. In addition to the soft forms of insulation, there are several forms of rigid insulation board. These insulations are hard; they do not bend or conform to their environment. In general, these types of insulation are more durable, more expensive or insulate better than soft insulation. The most common forms of hard insulation are polystyrene, prefabricated fiberglass panels and sheet rock. In most buildings, the only areas that have rigid insulation board are the exterior walls and foundation. Since most forms of hard insulation are more expensive and provide superior insulation, it is important to put them only in areas where temperature loss is very important. If these insulations were used inside a building, they would increase the cost of construction and insulate rooms from one another. This may actually increase climate control costs as heat and cold could no longer bleed through the walls. Along with these important areas, rigid insulation board is also used in small spaces. Since a rigid insulation typically provides as much insulation as a soft form in significantly less space, it is common in cramped areas. Commonly, these areas are linings for non-building projects, such as in an in-ground swimming pool or as part of a structural insulation panel. Structural insulation panels use rigid insulation board sandwiched between two pieces of structural material such as wood. The panels are fabricated as one piece—they do not come apart. One side of the panel faces out of a building, while the other side makes the interior wall. Unlike a normal building, there is no internal wall space. Using these panels, it is possible to create a building that has no supporting frame. What are Benefits of Basement Foam Insulation? What is a Sandwich Panel? What is Rigid Foam Board Insulation?